As part of the lead up to the Tokyo Olympics in 2020, we were thrilled to welcome BUCS Silver Medallist, Amy Hillyard through the charity Inspired Through Sport. 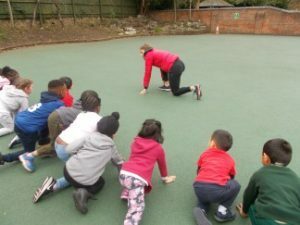 The children enjoyed hearing all about Amy’s sporting journey, allowing them to understand the hard work and dedication needed in order to achieve their goals. 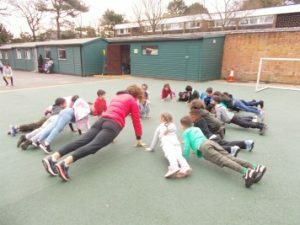 Amy prepared some training and exercises, encouraging pupils of all sporting abilities to challenge themselves and to keep going! This was a fun and enjoyable day for all the children and a fantastic opportunity to meet such an inspirational GB athlete.